The rivalry between the South Eastern and Chatham (see Bitter competition – and its benefits) gave us lots of alternative routes, but many of them are rather indirect and slow. 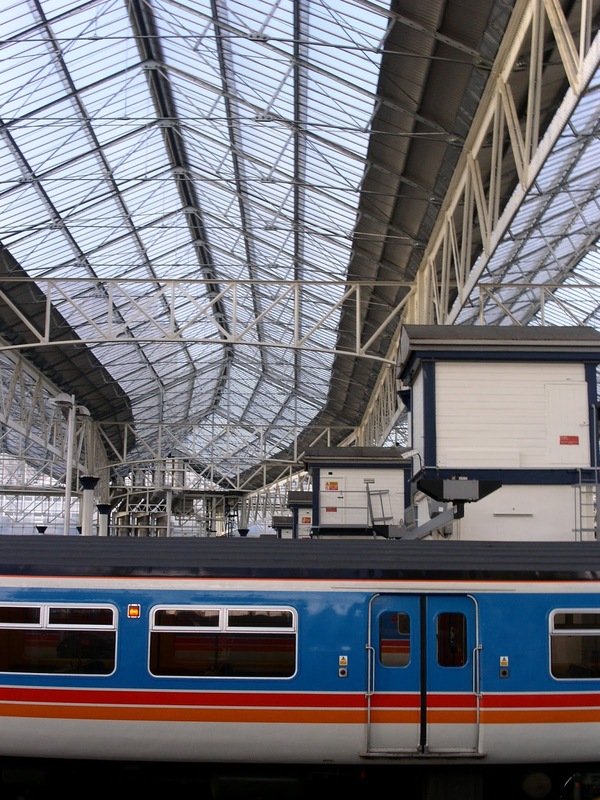 So what might a more rational railway network look like? For an example one only has to look to the London and South Western Railway – today’s South West Trains franchise. Its network is much more logical, proceeding directly south west to Woking, and splitting into Southampton and Portsmouth branches there. The Salisbury and Exeter branch then splits off from the Southampton line at Basingstoke. The company's original name was the Southampton, London and Branch Railway and Dock Company and its initial aim was to link the emerging port of Southampton to London (a canal having originally been proposed). Southampton was in those days a less important port than Portsmouth, which was Britain's main naval base and easier to access in the days of sail. But once steamships were developed which could navigate Southampton Water without problems, the double tides of Southampton became more attractive. This focus on freight governed the company's choice of its initial terminus - Nine Elms, near Vauxhall station today, which was a good place to tranship cargo to and from the River Thames. In 1848 it moved to Waterloo, however (though the present station dates from 1922: see Terminus wars). Nine Elms remained as a goods station until 1968. The London and South Western also had ambitions to drive a line to Bristol and that was why it chose a northerly route through Woking and Basingstoke (the one just a village and the other a small town before the coming of the railways), rather than the more obvious route via Guildford, Farnham and Alton - a route with larger intermediate towns and richer farmland, which is the way an early 19th century road traveller would have gone. In the event, before the Bristol line could get off the drawing board the Great Western Railway had proposed its more direct route to Bristol - the one we are all familiar with now - so that part of the plan was never realised. It was the GWR who in 1856 ended up building the line from Salisbury to Bath and that was broad gauge, so through trains from the LSWR system were not possible. The LSWR was a bit slower to start construction than other early railways. It was created in 1830, but took till 1834 to start work its line and did not open (from Nine Elms to Winchfield) until 1838, with Basingstoke and Winchester following in 1839 and Southampton in 1840. The line was well built because on opening the journey to Southampton could be done in 1 hour 50 minutes - an average speed of 42.9 miles per hour and not so far adrift from times today. The company's station in Southampton was right down by the docks, a location that was convenient both for ship passengers and freight. The grand Imperial Hotel was incorporated into it (later the South Western Hotel). Many passengers on the Titanic supposedly stayed there the night before she sailed. Portsmouth was inevitably another early target of the company but its approach was a rather indirect one - a branch line from Eastleigh (then Bishopstoke) to Gosport on the opposite side of the harbour to Portsmouth, which opened in 1841. This route required passengers to take a ferry into Portsmouth and there was an obvious opportunity for another company to offer a through rail connection. This happened in 1847 when the London, Brighton & South Coast Railway reached Portsmouth via the south coast from Brighton (see From London Bridge to the Sea). These two routes remained the main lines into Portsmouth right into the twentieth century. The current line to Portsmouth via Guildford was a rural branch line, with steep gradients around Haslemere that made it slow going for steam trains. It opened in stages - Woking to Guildford in 1845, with Godalming following in 1849 (the original station being to the north of the current one: it lasted till 1897 and then became a goods depot till closure in 1961). Not until 1858 was the hilly section past Haslemere and Petersfield to Havant added. Right into the 1930s this line only had a few services a day, and so eyebrows were raised when Southern Railways decided to electrify it in 1937 (see The sparks effect). The company had realised that electric trains would make short work of the gradients, however, and that proved to be the case. The "Portsmouth Electric" swiftly became the main route to the port city. Another early line of the London and South Western was to Salisbury, opened in 1847. But this was a line from Eastleigh, running north through Romsey. Due to its junction layout it could only be approached from the south, so through trains from London were not possible. The direct line we now have from Basingstoke opened as far as Overton, Whitchurch and Andover in 1854, getting to Salisbury in 1857. In the meantime the company had been pushing west from Southampton, opening a line from there to Dorchester in 1848. This bypassed the original Southampton station, with a Southampton West End station opening on the new line. To avoid confusion, the original Southampton station became Southampton Docks in 1858, then Southampton Town for Docks in 1896. In the previous year an expanded Southampton West had been opened which became the town's main station, renamed Southampton Central in 1895. Incidentally until 1927 this station was right on the seafront: reclamation of West Bay, on which it stood, to create Southampton Western Docks, the current container port, took place from 1927 to 1934. 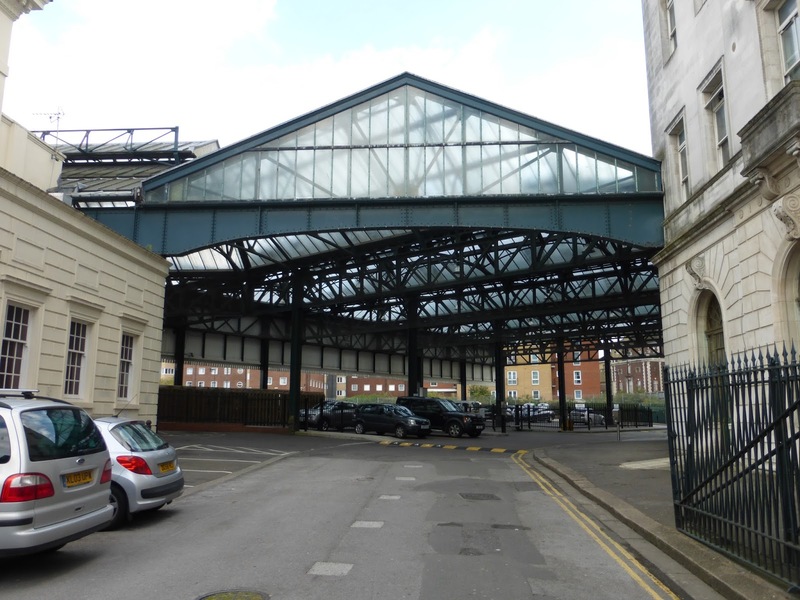 The original Southampton station - known as Southampton Terminus after 1923 - remained important for ocean liner traffic, though boat trains for ship passengers tended to run right onto the dockside, where many shipping companies had their own stations. By the 1900s passenger services were increasingly focused on Southampton West, with Terminus having trains to Reading, Alton, Portsmouth and (via a Great Western Railway line) to Newbury and Didcot. It was left out of electrification plans (see The sparks effect) in the early 1960s, however, and so despite being described in 1961 as "one of the glories of British station architecture", it closed in 1966. Its buildings survive, however, including the former South Western Hotel whose name is still visible. 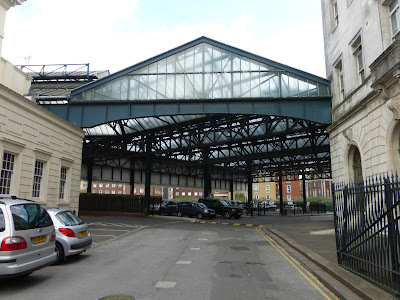 Part of the station's goods shed canopy is used as a covered car park. The site also still has a railway line running past it and there has been some talk of reopening it as a local station. Back in 1848, the line to Dorchester pressed on west from Southampton, passing through Brockenhurst and Ringwood. It went nowhere near Bournemouth because it was just an insignificant village. It was not until 1862 that a line was built south from Ringwood to Christchurch on the coast. In 1870 this line was extended to Bournemouth, which was starting to attract attention as a seaside resort. In 1848 a branch had also been opened from the Southampton and Dorchester line to approach Poole from the west down the west side of Holes Bay. But like the Gosport approach to Portsmouth this required a ferry crossing to get to the town. In 1872 a line was built across Holes Bay to the centre of Poole. In 1874 this was extended to a new six platform Bournemouth terminus - Bournemouth West - with the original Bournemouth station becoming Bournemouth East. As well as LSWR trains, holiday services from the Midlands and North would terminate at Bournemouth West, having used the Somerset & Dorset line from Bath and Bristol. This traffic was important to the growth of the town as a resort. In 1885 a new Bournemouth East was opened a little to the west of the former station, and a link was built between it and the Bournemouth West terminus. In 1888 a new main line along the coast, the one we use today, opened from Brockenhurst to Christchurch via Sway and New Milton. Bournemouth East station was renamed Bournemouth Central in 1899. Bournemouth West continued to be the main station, however - closer to the town centre than Central. It did, however, suffer from the disadvantage that it was a terminus, while Central was a through station. It was for this reason, as well as the closure of the Somerset & Dorset in the Beeching cuts, that Bournemouth West was closed in 1965, leaving Bournemouth Central as the main station, though somewhat far from seafront. The original inland line via Ringwood, which became a branch line when the coastal route was opened in 1888, also closed at this time. Other lines opened by the London & South Western include the one from Dorchester to Weymouth in 1865, and the line from Brockenhurst to Lymington in 1858. It was only in 1884 that the latter line was extended to Lymington Harbour, making this the route to the Isle of Wight it is today. From Woking a line was built to Farnham and Alton in 1852 and this was extended to Winchester in 1865: this latter section closed in 1973 - see Lines we lost. Westward expansion from Salisbury started in 1859, with a line reaching Yeovil that year and Exeter in 1860. This was just the start of a long foray into the west of England. The LSWR had purchased the Bodmin & Wadebridge Railway on the north coast of Cornwall as early as 1846, but didn’t manage to connect it to its network until 1899, via a line through the remoter parts of north Cornwall. Apart from the summer holiday months, when the LSWR could run the grandly named Atlantic Coast Express along it, this line never made money. It became known as "the withered arm” and to nobody's great surprise closed in 1966.